The Princeton hockey program is one steeped in tradition. The school’s hockey team was established in 1900, making Princeton the fourth oldest college team in the country (Yale, Brown and Harvard are older). It was also the school of college hockey’s greatest legend, Hobey Baker. 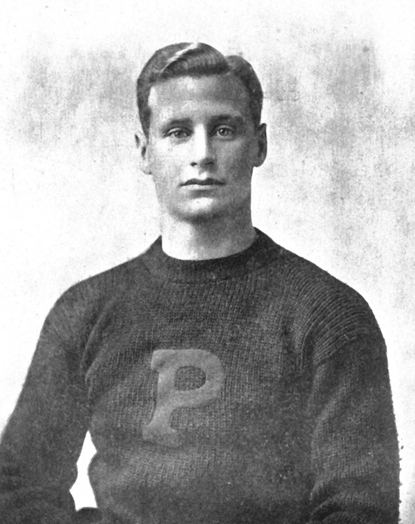 This year marks the 100th anniversary of the final year of Baker’s Princeton career. To honor the century since Hobey, the current Tigers will wear throwback jerseys similar to those when Baker played. Here, head coach Bob Prier models the throwback threads, which will be worn on Nov. 16 when Princeton meets Ivy League and ECAC rival Harvard. These aren’t exact replicas of the jerseys wore as most of the photos I’ve seen of the Baker-era Tigers hockey team did not have stripes on the sleeves. 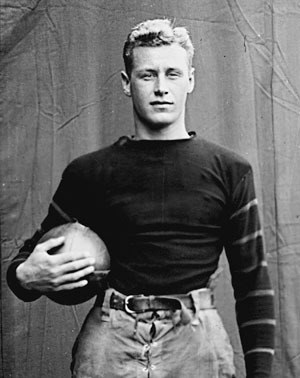 Baker also played football at Princeton and those jerseys did have thin orange stripes on the jersey sleeves. So this might be kind of a hybrid, but there’s nothing wrong with a little artistic license in the name of aesthetics. If it isn’t authentic, I like the idea of adding the orange stripes down the sleeves though. It gives an olde-time hockey vibe (and I’m not talking about old-time hockey) without taking away from the star of the jersey, which is the bold P. It’s a great looking jersey. UPDATE: Big thanks to Yariv Amir, Pinceton’s assistant athletics director for marketing for helping clear up some of my confusion about the way the jerseys were styled. The throwbacks are indeed a hybrid of sorts. The picture at right (via princeton.edu) is of a Princeton letterman sweater, not a jersey of any kind according to Amir. Princeton’s athletics teams of the era did have the striping on the jersey down the sleeves, but no P. For these throwbacks the large bold letter P was added and the striping was more pronounced. It certainly creates the feeling of a different era, while keeping the jersey more relevant to today’s more visually demanding standards. It’s tough to authentically recreate the past, but if you can honor it with a bit of a spin like this, it’s got a chance to be hugely successful. I think Princeton hit this out of the park. 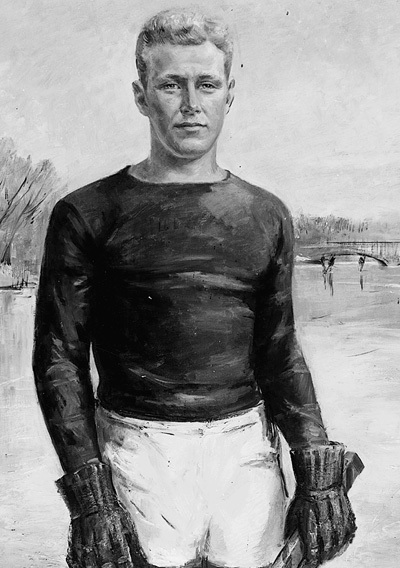 Below left is an illustration of Baker in his Princeton hockey jersey, while further down on the right is Baker in his football garb. It’s hard to see the striping as it is a bit subtle in the hockey illustration, but it is there. They were pretty similar. As you undoubtedly know, college hockey’s top player annually receives the Hobey Baker Memorial Award. Though statistics were not kept in his era, Baker’s production was estimated at 120 goals and 100 assists. It’s hard to know what’s fact and what’s part of the legend, but either way, he makes for a great story. Princeton still plays in Baker Rink, which opened in 1923 and is the second oldest arena in college hockey. In many ways, that arena is part of what preserves the rather unique and lengthy history of American collegiate athletics. One that predates the NCAA and the multi-billion-dollar business it has become. It’s important to remember the legacy of Hobey Baker, who died a painfully untimely death while flying his plane in his squadron’s airfield after World War I had ended in 1918. He was 26 years old. Baker, whose abridged history was documented here in 2011 and in more detail in the book “Hobey Baker American Legend,” was inducted into the Hockey Hall of Fame in 1945 as part of the Hall’s first class. He is an important figure in hockey, but more than that is one of the greatest legends in all of sport. 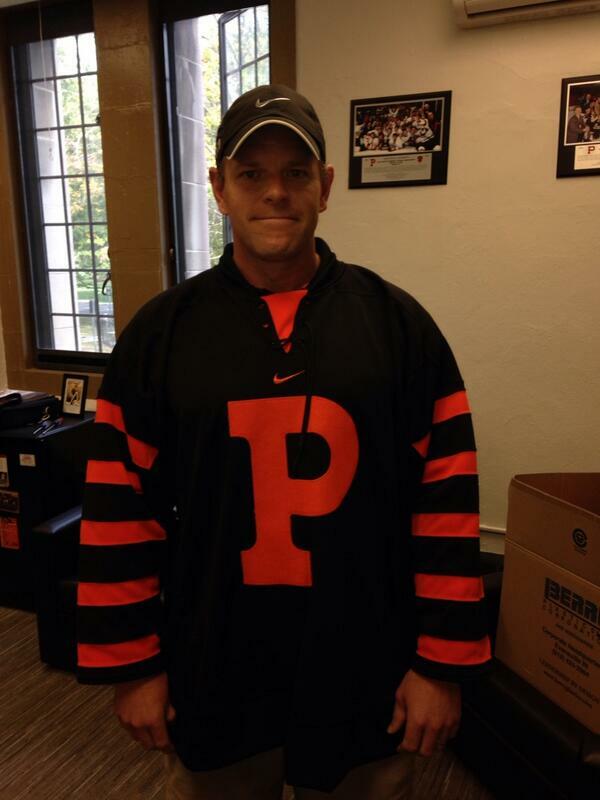 It will be a great night at Princeton when the current Tigers come out in the old Hobey jerseys. The fact that Baker still has such an impact on that program today and remains an important part of college hockey’s past is just remarkable. College athletics as a whole is imperfect, especially now, but those links to the past reminds us of what can make it so great. That’s a great jersey. Classic, but not dated. What an updated throwback should look like. Unlike Nike’s US Olympic hockey abomination. There was a sports illustrated article on Hobey Baker over 20 years ago that’s worth a read. Coincidentally, Brett Hull is on the cover of the magazine.